Description Of Item: Kids can recreate Spider-Man's greatest adventures with these 6? 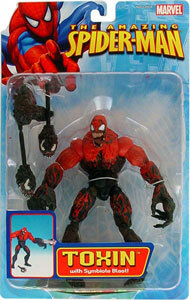 fully poseable action figures based on his classic look from his comic books and animated series. Each comes with a character-dedicated accessory or has its own specific battle action.